Some cacti have leaves and look like large bushes or trees. 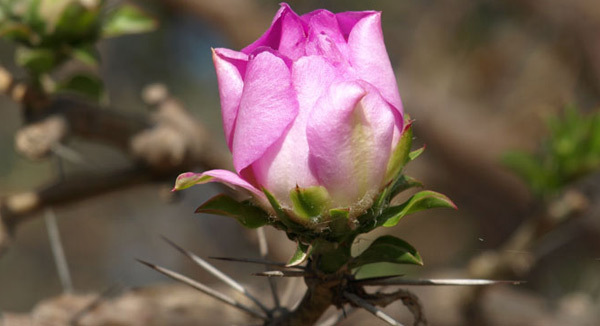 These are the most primitive types of cacti known as Pereskia. But when you look at them closely they are still cacti. Note the spines, which emerge from areoles, like every other member of the cactus family. 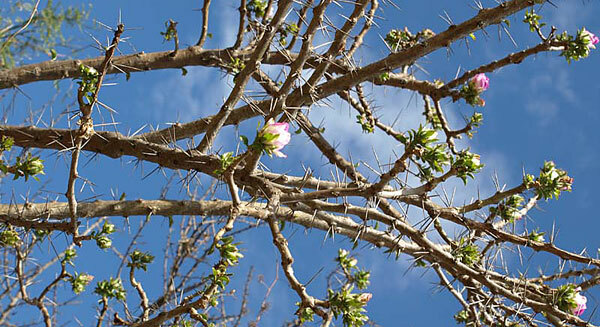 See What makes cacti special to learn more about areoles.